Perhaps the biggest challenge on the international tech and telecom scene of the last decade and the next is how to access the vast but difficult Chinese marketplace. Building and operating internet infrastructure in China is a non-trivial project that few have tried at scale. 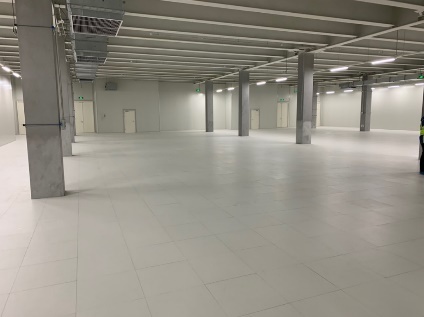 One company that thinks it has the insight and capability to do this is Hong Kong-based Chayora, which unveiled the first phase of its Tianjin data center campus last month and has plans to expand dramatically from there. 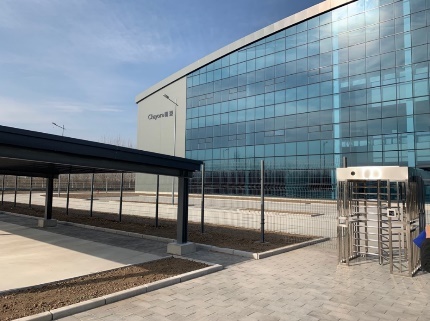 Chayora’s Konstantin Borman and Grandy Ai were kind enough to host Telecom Ramblings’ Lisa Xu for a visit to the Tianjin facility which sits about 30km north of Tianjin South Train Station in Beichen District. It has the same look and feel as any modern data center project you might find in North America today, with multiple levels of physical security. The surrounding area bears all the hallmarks of extensive infrastructure investment by the city. Chayora is backed by the UK private equity firm Actis Capital and expects to spend as much as $1.5B on the campus. Each data center will be aimed at one large customer, with less than ten or so needed to fill out the Tianjin project. While China does not have actual private land ownership, land acquisition is handled through 50-year leases, enabling the company to easily offer 15-20 year deals to hyperscalers. With us today to talk in more detail about the Chayora’s approach is CEO Oliver Jones. TR: What is the driving force behind Chayora? What problem are you trying to help solve? OJ: We created Chayora to address the opportunity that the Chinese online market presents to international companies by solving the significant complexities, regulatory issues, and hurdles that international companies must clear in order to access China. China is the world's largest online market, comprising around 800 million people today, which is around 20% of the world's online population. For international companies the Chinese national firewall makes accessing 20% of their global addressable market a problem. In order to be able to access the Chinese domestic population with cloud services, products, e-commerce, and the like -- you have to have a presence inside the country. That means servers in a data center inside the firewall, which excludes Hong Kong and Macau, and of course Taiwan. To do that, you have to operate in accordance with the Chinese Telecommunications Acts and hold a number of different licenses. The two most important ones, in data center terms, are the IDC (Internet Data Center) license and an ISP license which is about achieving connectivity to the internet. Most international companies find that a significant challenge. Indeed, only a handful of non-Chinese businesses to date directly hold or control IDC/ISP licenses in China. That excludes the major cloud players and retail co-location companies. TR: What issues other than licensing are slowing them down? OJ: What international companies have been encouraged to do is to form relationships with local domestic partners. But the nature of those collaborations means that the ability of an international company to achieve what would have been secured in other markets often has difficulties beyond just the licenses. For example, in order to achieve international standards of operations, a different standard of design is required in China from that what is generally offered to incomers to China. Legacy data centers in China, which make up the major part of the China data center stock, have been designed to support around 2-5KW per rack and are often constrained in power availability. Hyperscale operators today may require 10-12KW per rack and significant preferably contiguous space for expansion. There is very limited existing stock in China they can embrace and use. A third, more general element is that many Western and Western-led organizations suffer from a deep lack of knowledge of China, not just at the commercial level but at the fundamental level of the geography, the history, the politics and generally the way China works. TR: Given the awareness everyone seems to have of the size of the Chinese market now, why do you think that knowledge still lags? OJ: Western education curriculums for pre-Millennials simply didn't focus on that part of the world. We easily throw around the fact that China has c.1.4 billion people, but if you were to ask your average Western executive to name 10 or even 5 cities in China, the majority would struggle. Compare that to North America, the European Union, and all of the former USSR, which is less than 1.4 billion people, and think for a moment about how many cities you could name. That seems fairly superficial, but it illustrates how when people are thinking about locations around China, they'll tend to think only about the two key cities everyone knows about: Shanghai and Beijing. These are of course significant markets as the population of the wider Beijing area (Beijing / Hebei / Tianjin) alone is 150 million people, which is nearly half of the total US population. 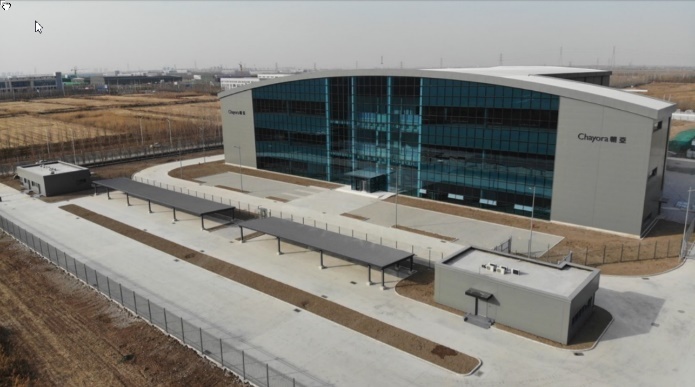 TR: Last month Chayora formally opened the doors on the first phase of its Tianjin data center campus. What do you have planned for Tianjin, and what have you completed so far? OJ: Our masterplan for Tianjin consists of a site of 80 acres. We have designated the land titles into seven separate sublots. We have also secured in excess of 300MVA of power with all relevant regulatory certifications. Each of the six largest subplots is designed to accommodate a single large data center of between 3,000 and 3,600 racks depending on configuration and between 20 and 30 megawatts of IT load within 370,000 square feet gross floor area on completion. The master design guidelines have been put together to meet the varying requirements of any of the big 10-12 global cloud and tech players. 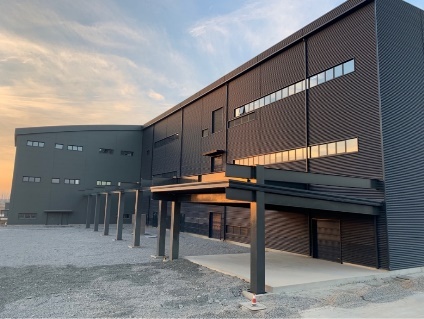 We’ve completed the first phase (TJ1), which will accommodate circa 1,000 racks initially, in order to demonstrate to the international community that world-class standards of design and execution can be delivered as we have been setting out to the market. That building is ready, and we can now expand and extend as Phase 2 to the full 3,000-3,600 racks within nine months. We will be fitting it out with bespoke MEP in the coming months to suit the first customer. We also expect to commence two of the next three land parcels probably in the second quarter of this year to meet the requirements on a build-to-suit basis for a number of the customers that we're talking to today. TR: What drew you to Tianjin as opposed to Beijing or Hebei Province? OJ: Tianjin is very close to Beijing, center-to-center it's 120 kilometers. We built in Tianjin for two principal reasons: firstly Beijing, Tianjin, and Hebei are part of a tri-province in administrative terms today; and secondly, the plans for AI investment in Tianjin are extraordinary. Beijing is not able, under the new environmental and power usage policies, to support hyper-scale data center developments. In anticipation of this, we worked very closely with a number of the central agencies and ministries to understand the direction of such policy developments which led to our choice of Tianjin as the prime location for us in the wider Beijing area. In Tianjin, we have secured the power commitments and the land and government support that's necessary, and through the connectivity arrangements we've put in place we're also able to operate within less than two milliseconds of the internet exchange on-ramps in Beijing. On the second point, Tianjin has, in the course of 2018, made announcements in line with the current Five-Year Plan setting itself up to be the leading location in China for AI and other related developments. Tianjin specifically announced c.US$16 billion investment in AI and ML R&D. A high proportion of the Fortune 500 companies are already located in Tianjin: including car manufacturers who will be looking at driverless car applications, leading aircraft manufacturers, and a whole host of cloud, financial, and tech firms. Thereforethere are great opportunities in Tianjin. We hope to succeed in China as Chayora by supporting China in succeeding with its goals. TR: What type of customers are you looking to serve? OJ: We are targeting several main groups. First is the international hyperscale cloud and tech firms requiring built-to-suit, high-quality environments in China. The second group is international and leading domestic retail co-location operators who want international standard facilities in China and want to be able to access China with reputable and comparable standards for that that they have elsewhere in the world. The third group, not a group that we anticipated originally we would be focused on, is the domestic hyperscale cloud providers in China, like Alibaba, Tencent, Baidu, JD.com, and Huawei. Originally we anticipated that our ability to add value to those organizations would be limited but we have found the same as pretty much any country in the world that doesn't have the unique attributes of China: when you require significant scale with committed, fully certified power, with connectivity, and with local government ‘planning’ support, it is not actually always available when and where you need it. Because we have focused on the greater Beijing area for our first campus, which is an area in great demand at the moment, we are expecting that at least one of the customers on that campus will be one of the domestic hyperscalers. TR: You recently announced a partnership with Beijing Sinnet Technology, how does that fit in? OJ: It fits in in several ways. Most importantly is that while we have commitments from the major telcos in China to give us carrier neutrality and diversity of access to fiber from our side, you need to also work with a network solutions provider, typically a Tier 2 market player. Bejing Sinnet is one such player which is very highly regarded. A second aspect is that it also enables us to offer our target customers access to a cloud services license held by Beijing Sinnet within the world-class operating environment we are creating. The third aspect is that Beijing Sinnet will be establishing a retail co-location facility on our site as a customer of ours as well as being a strategic partner. We think that's very important to be able to meet the immediate requirements of international firms that require fewer than 500 racks or so within one of our facilities, which we will structure with Sinnet to deliver. TR: Beyond Tianjin, what other geographies to you foresee expanding to, and why? OJ: We are looking primarily at the major markets on the eastern coast of China. In Tianjin/Beijing we have already started. Next, we are focused on Shanghai, which we will probably serve both from Zhejiang and Jiangsu provinces. Shanghai itself has the same challenges as Beijing does in terms of power usage and constraints. We expect to conclude terms on our first site and commence construction on that later this year. We will also be focused on the Greater Bay Area in the south of China, around Shenzhen and Guangzhou. Each of those three major locations has been chosen because there is a shortage of high-quality, available data center space at the moment. The other aspect is that the areas that we're focused on are the highest GDP per capita locations in China and which our customers are focused upon. We will progress as many as maybe four to six campuses, ultimately. But at the moment we're focused on having success in Tianjin to serve Beijing, and then moving on to serve Shanghai, because we know that that's the key to success from our customers' point of view. TR: What are the biggest challenges ahead of you in achieving these goals? OJ: I think we've worked hard to address many challenges: taxation structures; how to move capital in and out of China, how to work with government in order to be aligned at all levels of state, province, city, district, and so forth. The remaining issue today is ensuring that we can achieve the high standards of operational performance comparable to the best in the world. We are going to be working and collaborating with universities to secure great local talent. We need to be able to bring international standards to the table and inspire our local teams to be able to operate at levels, frankly, that are way above anything you encounter in China. There are many shortcomings in customer service compared to international environments, and there are also some really good examples and successes. What we are working on at the moment is to make sure that we transition from the development and construction stage into a world-class operating platform. TR: Have international politics, such as the trade war between the US and China, intruded upon your plans?